Hearing Conservation best practices are changing north of the 49th! CSA, the Canadian Standards Association, a standards development body in Canada, has been asked by the federal, provincial, and territorial OHS regulatory authorities (CAALL-OSH) to develop a standard for the Management of Hearing Conservation Programs in Canada. The committee undertaking developing this standard has many NHCA members on it and much is being gleaned from work done in the United States and Australasia. At CSA, standards are grouped under Technical Committees charged with a particular area of specialty (much like ANSI working groups). The Technical Committee on Occupational Hearing Conservation is supervising this standard. Under that Committee are the sub committees working on Hearing Protection Devices (SC1), Noise Exposure Assessment and Control (SC2), Hearing Surveillance (Audiometry) (SC3), Vibration Exposure Assessment and Control (SC4), and Hearing Conservation Program Management (SC5). Having started in 2011, SC5’s development of this new standard, Z1007 Hearing Conservation Program Management, is now well underway. 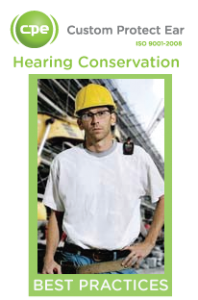 It is to be designed to permit persons not particularly familiar with the technical aspects of hearing conservation to design and manage hearing loss prevention programs where their workplaces noise levels require them. Further, the standard is being developed as a model that some jurisdictions might use as a basis for legislation or a “Best Practices” document. The regulators present on the CSA technical committee supervising this development have requested that the final document stand-alone and not require other standards for its use. In this way the standard will tell those reading what to do with information rather than how to develop it or interpret it. In the development of this standard, the committee has drawn on documents prepared by NIOSH, Standards Australia and New Zealand, and ISO Standards from the EU (with permission, of course). As well, Canadian documents and the regulations in the various provinces of Canada, all somewhat different, have been summarized and compared. NHCA can take pride that long standing members like Alberto Behar, Elliott Berger, Bev Borst, John Franks, Jeffrey Goldberg, Scott Lake, Thias Morata, Theresa Shultz, and Karen Turner are working on this project. As well, SC1, the Hearing Protection Device standard, is being updated. SC1 is chaired by Alberto Behar and include NHCA members Elliott Berger, Bev Borst, John Franks, Jeffrey Goldberg, Scott Lake and Jeremy Voix.